They’re almost here. One of the most hyped mode of transportation, the dockless electric scooters, are coming to Dubai. Clafironia-based Qwikly is bringing its shared electric scooter platform to Dubai, launching it at the GITEX 2018 next week, the startup announced yesterday. Focused on micro mobility platform in cities and campuses around MENA, Asia and Europe, Qwikly has already raised a pre-seed funding round from a Japanese investor according to the statement. The information on their website indicates that they haven’t launched their services anywhere – which means Dubai is the first city they’re going after. The startup is aiming to cater short distance travel of one to three kilometers by focusing on first and last mile connectivity. The service in Dubai is being launched in partnership with Acacus Technologies, a local technology company specializing in intelligent fleet management and optimization. It is not clear whether the services are being launched with approval of the government. The statement also doesn’t mention any details about their public launch. What normally happens is that companies come to GITEX, announce their new products and services and then take months to roll them out to public – which may very well be the case with Qwikly as well. When available, people will be able to use the service in few easy steps by downloading the Qwikly app, finding a Qwikly scooter near them, scan and unlock it to start their ride and park the scooter at the end of ride in a away that doesn’t block any public space. The battery-operated scooters come with GPS tracking and can cover up to 30 kilometers with a maximum speed of 25 kilometers/hour on a single charge. It will redefine the way Dubai moves, especially for a short distance travel from the metro or bus station to the office., from home to the nearest metro or a recreation or shopping destination. 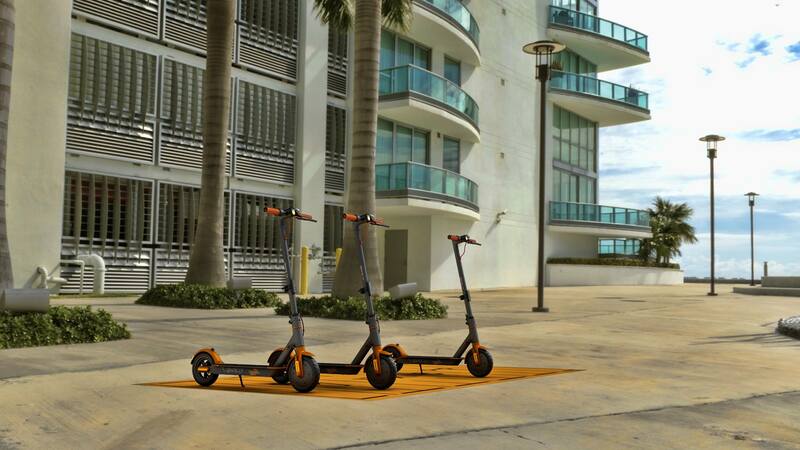 The scooters, as the statement notes, could very useful for short distance travel from metro or bus station to the office or home or maybe a shopping destination but we’re not sure if people will be interested in riding them in Dubai’s unbearable heat. Starting with Dubai, Qwikly has plans to expand the service to other emirates in the future and eventually to rest of MENA, Asia & Europe.